HALIFAX -- A survey released by a group of former and current educators suggests Nova Scotia's teachers feel overburdened and disrespected in the aftermath of the 2016-17 contract dispute that was resolved through a government-imposed wage settlement. 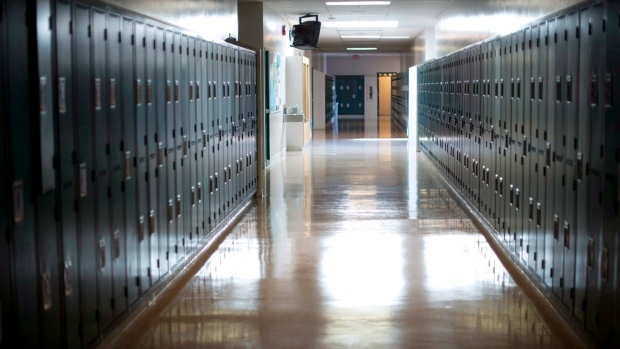 Rogers, a former teacher, said the majority of teachers who responded also feel their relationship with the provincial government has been "poisoned" because they aren't being listened to. "Teachers are demoralized and many spoke of thinking about or actually leaving the profession," Rogers said. The questions included: What do you think has worked well since the imposition of the new collective agreement? What still needs to change? What do you love about teaching? Is there anything else you'd like to tell us? Rogers said while the survey is not a statistically representative sample of the province's 9,300 teachers, it serves as a "snapshot" of what teachers felt about the profession during the winter of 2018. "These are frustrations that we are aware of," said Churchill. "What we've done is acted on those." "We are not seeing the world change overnight, of course, but we are seeing demonstrable impacts," the minister said.